When Marlen Chow was arrested this Sunday together with at least 40 other protesters (IACHR), she knew what was waiting for her. The cells are small, dirty and hot as hell. The guardsmen shout, hit and humiliate. She didn’t want to be belittled. She wanted to combat that state of mind. The first Marlen did in prison was to put on some red lipstick and pass the lipstick to the ladies around her to lift the spirit. 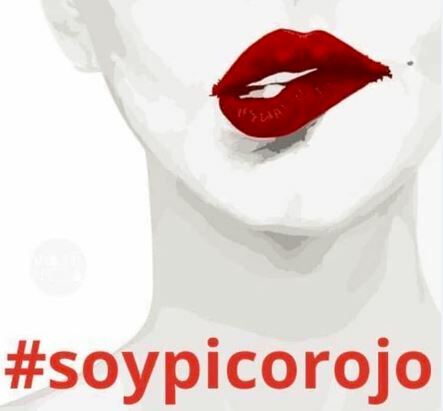 When the guardsmen asked which organisation she was from, she told them she came from ‘The organisation of women with red lips (pico rojo). The group of prisoners then started to sing protest songs. Upon her release from prison she told the story. 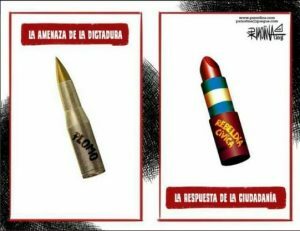 With little means of resistance left but creativity, putting on a pair of red lips have gained traction with men and women of the ‘blue and white’ popular movement for justice and democracy in Nicaragua. And it spreads like fire on social media.